Existing customers are the foundation for business success. According to some research a repeat customer is 60-70% more likely to convert than a brand new one. Returning customers tend to spend more and the more times they have bought from you the easier it is to convert them with your next offer. We should have a process for following up with people who buy from us. We need to raise their awareness of the other things we sell and we need to be front of mind when they are next in the market to buy. If we don’t stay in touch even happy customers will quickly forget us. 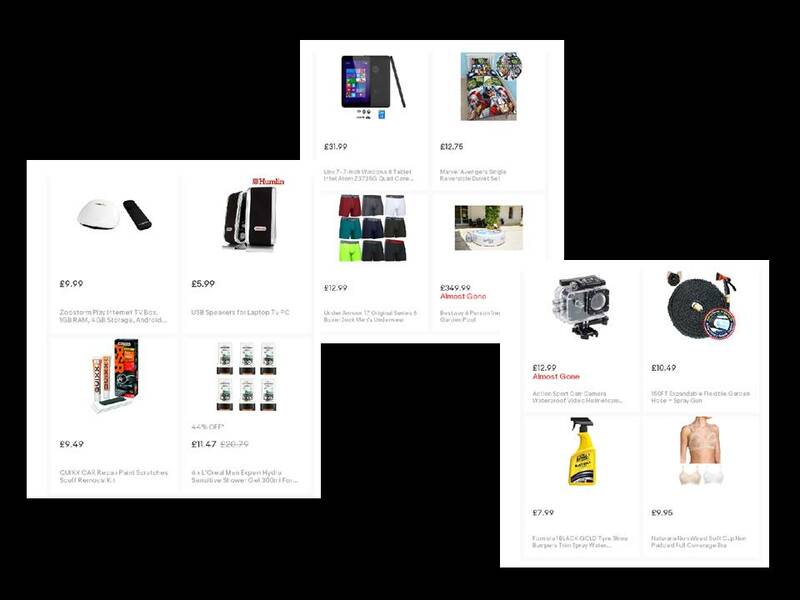 eBay thinks I’m a man! There’s not much on here that appeals to me. eBay has a system for following up with its purchasers but the system is flawed. They send you an email with purchase ideas presumably triggered by your buying history. It’s ages since I last bought from them so when I came to make a purchase recently I had to set up a new account which means that the only history eBay has to go on is that one item. That item was a workbench. 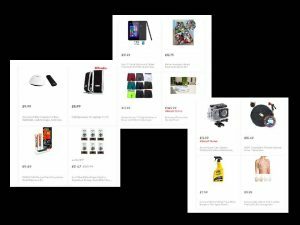 The next email I got with buying ideas included male shower gel, underpants, quite a few male interest gadgets and games and, randomly, a very unsexy bra! Is it only men who buy workbenches? Surely their follow up email could have directed me to tools, safety equipment or craft supplies. Automation can be really helpful especially when it comes to routine tasks but it’s vital that the messages we send make sense and appeal to our customer. It’s dangerous to make assumptions about gender, age or lifestyle. So our follow up should be based on the nature of the purchase rather than some assumptions about the buyer. What does a typical customer do next? Is there a typical pattern in your customers’ behaviour? For example do they buy a moisturiser and then typically follow that with a toner? Do they buy a half-day course then typically sign up for a package? You’ve probably browsed an item on Amazon and been shown what other customers also look at. You’ve possibly clicked checkout on your supermarket online delivery and been reminded of things that you frequently order but haven’t ordered this time. Or maybe you’ve had an email from a supplier telling you about an update to a product you have previously bought. Do you do any of these things? Before you say this is far too pushy for me, it’s not if you approach your offer in the right way. I like to think of it as helping people to buy rather than high pressure selling. I appreciate a notification that my insurance will soon run out. I like to know that I’ve forgotten to order a staple of my food cupboard and I quite like being told about a book I haven’t heard about. What would your customers like to know or be reminded of? These days you can automate a lot of your processes so you may be able to set your checkout process up with an ‘if this then that’ offer. Your email provider may well let you set up an automated series of emails based on your customer’s purchase history. Perhaps you could segment your customers by the nature of their purchase and send different email updates to different segments. Of course there’s nothing better than a truly personal approach so if you’re not dealing in high volume a phone call or personal email might work. So do you need to put some processes in place to turn one sale into a loyal customer who buys from you again and again? I’ve thought of a few things I could do better so I’m off to take some action. And if you want another idea here’s one… I recently went to a birthday celebration in a pub/restaurant, when I signed up to use their wifi they emailed me a voucher for a free drink which I have to use within the next three weeks. They’re clever enough to know that I’m unlikely to go on my own and to buy just one drink and I might even become a regular all for the cost of a free drink. Is that an idea you could adapt? If there are gaps in your marketing activity why not join me for a No Excuses Day when for a very small fee I’ll help you to work on the right things.